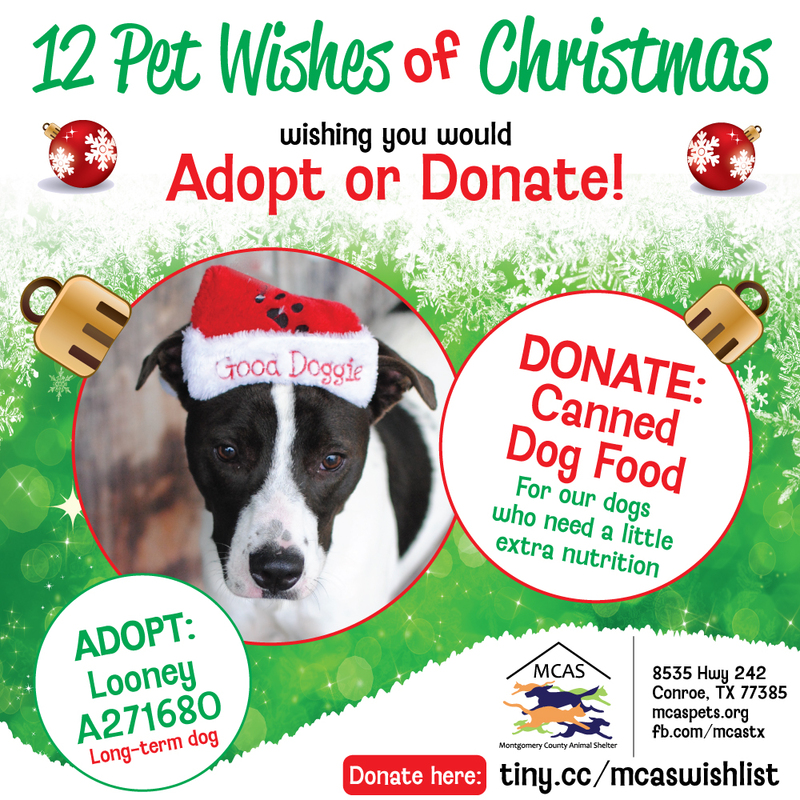 12 Pet Wishes of Christmas! DAY 4: Our homeless pets are wishing you would adopt or donate this holiday season. Home Blog 12 Pet Wishes of Christmas! 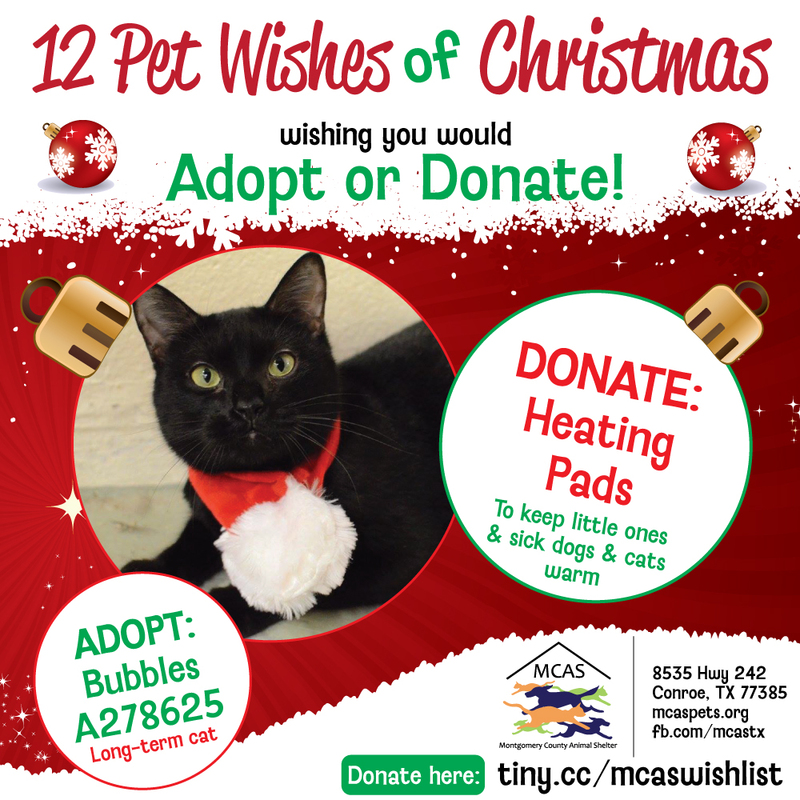 DAY 4: Our homeless pets are wishing you would adopt or donate this holiday season. ADOPT: Bubbles is one of our longest-term cats at the shelter. She is available for adoption for $20 now through December 24. Little Bubbles is a petite girl weighing in at just 6 lbs. This 3-year-old girl is already spayed and is hoping for a home for Christmas. DONATE: It can get pretty cold at the shelter when temperatures drop so we like to keep heating pads on hand for especially frail dogs and cats and young puppies and kittens. ADOPT: Poor Looney is one of our longest-term pups at the shelter. In the hopes of making his holiday bright, he is available for adoption for $20 now through December 24. Looney is extremely well behaved. He was adopted as a puppy and returned as an adult. Don’t let this boy wait another day for a loving home. DONATE: Canned dog food is a special treat for our dogs and is especially great for sick or older pups.